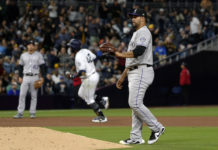 While the Colorado Rockies have launched themselves into contention, they underwhelmed against the Cardinals in a three-game set over the weekend; something they can’t afford to do many more times. Host Shawn Drotar (Host, “Mornings at 5280′“) and guest Doug Ottewill (Editor-in-Chief, Mile High Sports Magazine) discuss Bud Black’s decision to go with a “Sunday lineup” against the Cardinals; including a rest-day for All-Star Charlie Blackmon during a critical game and series and explain why the Rockies can’t afford to do that again. 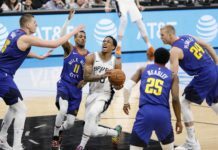 The Rockies aren’t the Yankees; they’re not in this position every year, and with the looming specter of Nolan Arenado’s impending free agency following the 2019 season hovering over their heads, Bud Black and Co. can’t afford to do anything but put the pedal to the metal the rest of the way. The team now hits the road for a critical, six-game road trip to Anaheim and San Diego, and starting pitcher Tyler Anderson’s game is a mess of late. 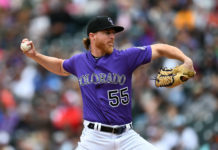 Can the Rockies pick up the slack until Anderson gets his mojo back?